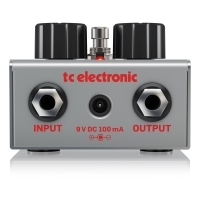 A rotary emulation that sounds like the original! 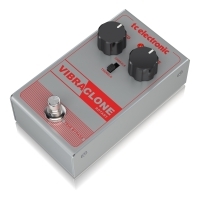 The TC Electronic Vibraclone Rotary pedal effect offers the same dynamic sound of the classic rotating loudspeakers from the 1960's that Hendrix, Trower, Harrison and Gilmore used for their legenadry tones. You have two modes, Chorale and Tremolo and two turning knobs, one for Speed and one for Drive to create the rotary sound you are looking for. 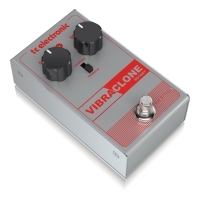 The TC Electronic Vibraclone emulates the Rotary speaker quite nicely, there were moments where we could almost feel the rotating loudspeakers moving in the cab. With its compact size and sweet price, we really recommend anyone who is on the lookout for a Rotary pedal to check it out.